Oxbow's artist-in-residence program was established for artists to create and present site-specific works in a supportive, non commercial environment. Participating artists have included Gail Grinnell and Samuel Wildman, Klara Glosova, James Borchers/Jérémy Jolley, Katy Stone, Dylan Neuwirth, Mary Ann Peters, Chris McMullen, Saul Becker, Michelle de la Vega, Barbara Robertson, Dan Webb, and Alex Lockwood. 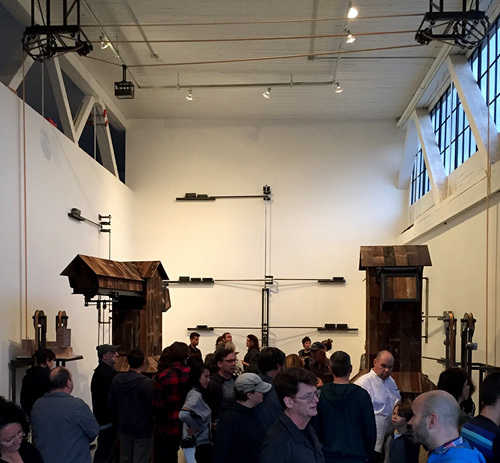 Chris McMullen's "Infrastructure", an installation in Oxbow's gallery space.